Harrelson Equipment is a North Texas exclusive dealer of new pumping units from Genuine Jack and Cook. 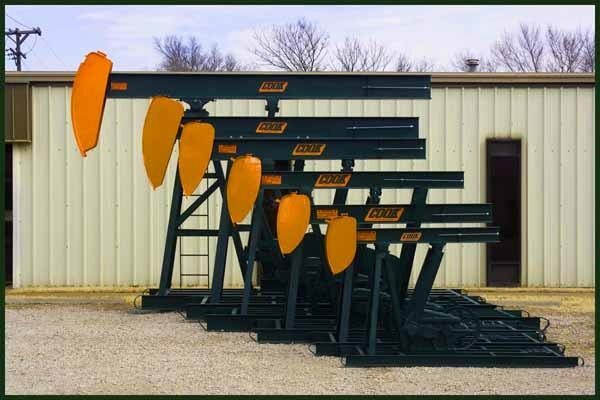 If you are in the market for a new pump jack or multiple new pump jacks contact Harrelson Equipment today. We are proud to be an authorized dealer of Cook and Genuine Jack. The Cook Pump Company was established in 1958 in Coffeyville. Cooks has redesigned and redeveloped creating the updated "DB" Model Pump Jacks we all see everywhere today. Cook is known for innovation, they are always on the cusp by utilizing new materials and constantly changing technology to provide better quality pump jacks. 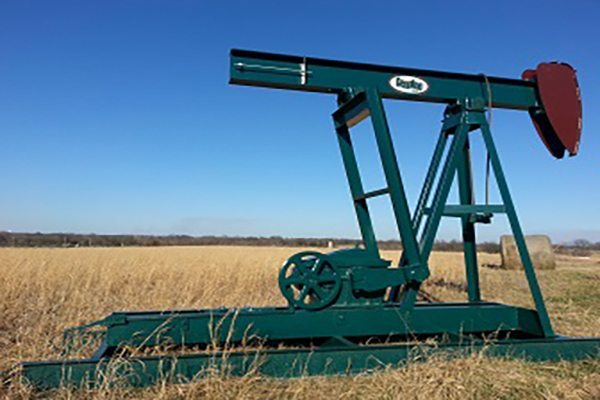 Genuine Jacks has been manufacturing small pumpjacks since 2006. They make the following sizes: #4, #16, & #25. Their jacks have American made gearboxes with heavy duty rotating beam bearings and crank arm bearings. Call us today for more information on all the new pumping units we offer.